Asian hairstyles men prefer more and more over the past few years. To tell you the truth there is no wonder why since all the cuts are so stylish and sassy. That is why we invite you to browse through our compilation! It happens so that nowadays Asian hairstyles men pick up more often than all the others. Let’s stop for a minute and think about it – what is so special about these particular styles? The thing is that in terms of fashion these men are always a step ahead of the rest of the world. What is more, it is their unique hair structure that makes it possible for Asian men to pull off anything they like. So, if you put these factors together, it turns out that Asian hairstyles are the most stylish and versatile. That is why we are going to share with you this complete trendy Asian hairstyles compilation. Enjoy! Korean hairstyles are extremely versatile, but faux hawk haircut is that one thing that no one can refuse. The fact is that this cut combined with Asian fade is not only beyond stylish but also easy to style as well as to maintain. All you need to do to look classy and sassy is to work some hair gel into your wet hair and style it upwards. There you go! Undercut haircut is very stylish looking due to the fact that it is disconnected and that helps to create quite a dramatic look. It is true that there are countless hairstyles for Asian hair, but this one surely deserves special attention. Asian undercut will suit those of you who deal with thick hair and wish to make the life a little bit easier. Asian hair is super easy to play around with especially when you know which cut to opt for. One of the most favorite Korean men hairstyle is undoubtedly a pompadour. With a cut like this, you can look different on a daily basis depending on sleek or messy you decide to style your hair. 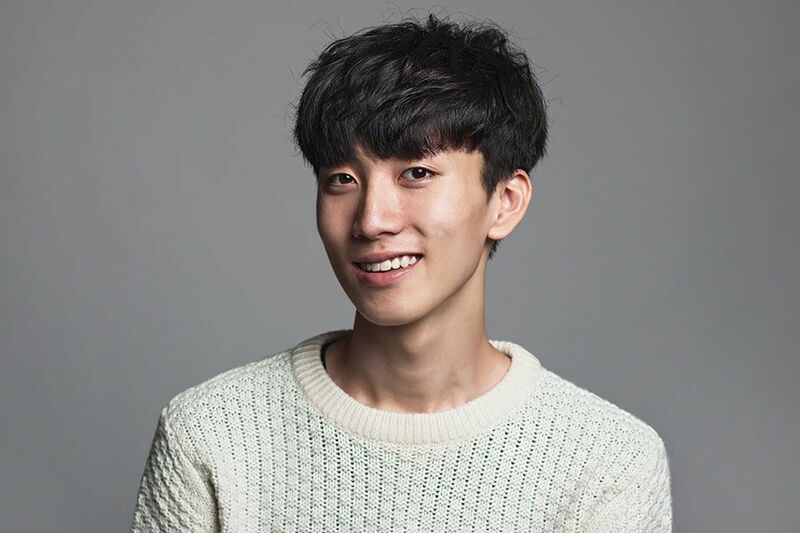 Korean short hair also looks merely fabulous all you need to do is to choose a classic crew cut from all the other Asian hairstyles men should try. Such a style will surely suit those of you who wish to look trendy but reserved at the same time. There is neither too short not too long hair left – just the golden middle. In case you are looking for fringe haircut men can wear – we have a perfect option in mind. The thing is that Asian bangs can add necessary angles to your face and in some cases this is crucial. However, you should keep it in mind that sometimes hairstyles for Asian men suit those men only due to their unique hair texture. Very often short spiky hair men choose when their hair either starts to thin or is not very thick. Blonde hair men look especially great with such a cut. What is more, it does not take a lot of effort to style it all you need to do is to maintain a bed head look with the help of small amount of hair product. Simple and beautiful to look at! Slicked back Asian haircut has gained its popularity over the past few years. 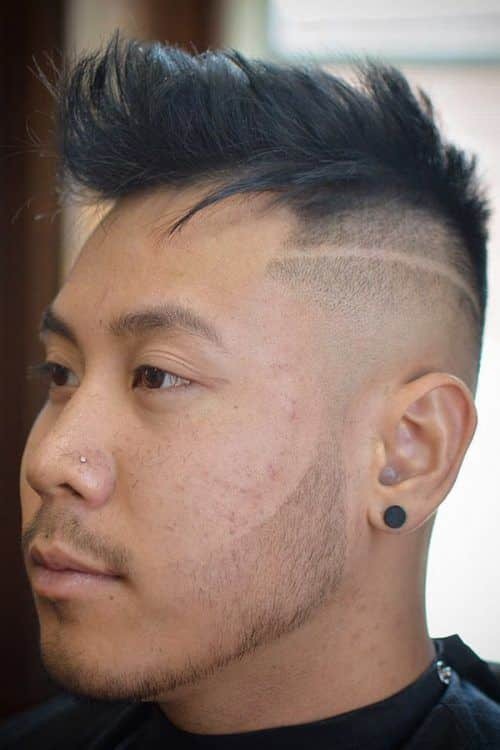 There is no wonder why in fact, the truth is that this Asian fade haircut looks super stylish and manly at the same time. Yet, there is one thing to keep in mind – you are going to need a good styling gel to keep this cut in place. Among all the Korean male hairstyles, mullet haircut deserves special attention. To tell you the truth it is quite different from the mullet you are used to, and that is what makes it so unique and desirable. If you are looking for a fresh and youthful vibe to be added to your general look, then this cut is exactly that one thing that is still missing! Those of you who are looking for a Korean haircut that is extremely easy to maintain then this Asian bowl cut is precisely what you need. It is not only simple to look after it is also great to look at! Asian short hair can easily acquire business twist – all you need to do is to side part your hair and maybe use a little of hair product to keep it in place. This is surely the hair style men can’t but try out! 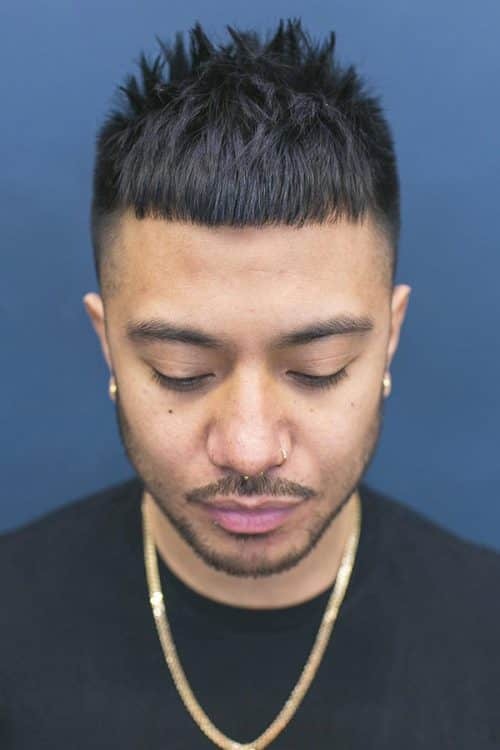 Asian hairstyles men like more than others are many, but we know all that is going on in the world of men hair fashion, and we are ready to spill the secrets. Read on!